Shopping for Little Mermaid Purses? Carry a bit of Disney magic with you! 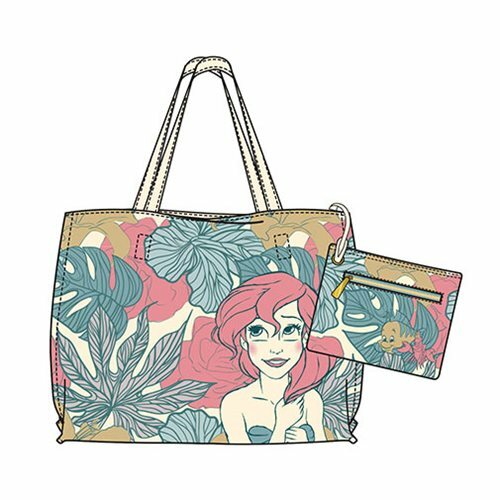 This Little Mermaid Ariel Leaves Tote Purse is made of faux leather and includes a detachable pouch pocket. The purse measures approximately 18-inches wide x 13-inches tall x 5 1/4-inches long.